Can you see me? Can you see me? Do you see your brother crawling? And all the while he’s calling out for help from you? 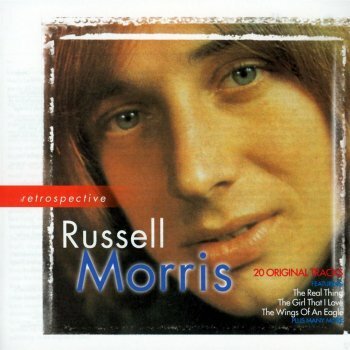 Russell Norman Morris (born 31 July 1948) is an Australian singer-songwriter who had five Australian Top 10 singles during the late 1960s and early 1970s. On 1 July 2008, the Australian Recording Industry Association (ARIA) recognised Morris’ iconic status when he was inducted into the ARIA Hall of Fame. The Real Thing was added to the National Film and Sound Archive’s Sounds of Australia registry in 2013. Morris’ career started at the age of 18, in September 1966, with the formation of the Melbourne group Somebody’s Image, together with Kevin Thomas (rhythm guitar), Phillip Raphael (lead guitar), Eric Cairns (drums) and Les Allan (aka “Les Gough”) (bass guitar). Somebody’s Image rose to prominence with a local hit version of the Joe South song “Hush”. (the song reaching #2 on the local Melbourne charts). In 1973, Morris moved to London to record an album only to discover there was no record contract waiting for him. He relocated to New York and set to work on an album there, including new versions of both “Sweet Sweet Love” and “Wings of an Eagle” and the single “Let’s Do It”. A second American album appeared in 1976. It was two more years before Morris was granted his green card, enabling him to tour America. But by then, any chance of an American career had bolted. Instead, Morris returned to a very different Australia than the one he had left behind five years earlier.